"Ride On / Right On" by Phosphorescent. Last night I was driving home and had one of those nostalgic flashbacks. I remembered a phase of blasting this song in my car over and over again. I can still listen to it over and over again. Listen to the entire album. "2 A.M. at The Cat's Pajamas" by Marie-Helene Bertino. It's not sweet and innocent, but it's a nice break from absolute heartbreak and sadness. I'm excited to see where the story goes. My favorite place in town to get pancakes closed months ago, so I decided to take matters into my own hands and make my own for Saturday brunch. 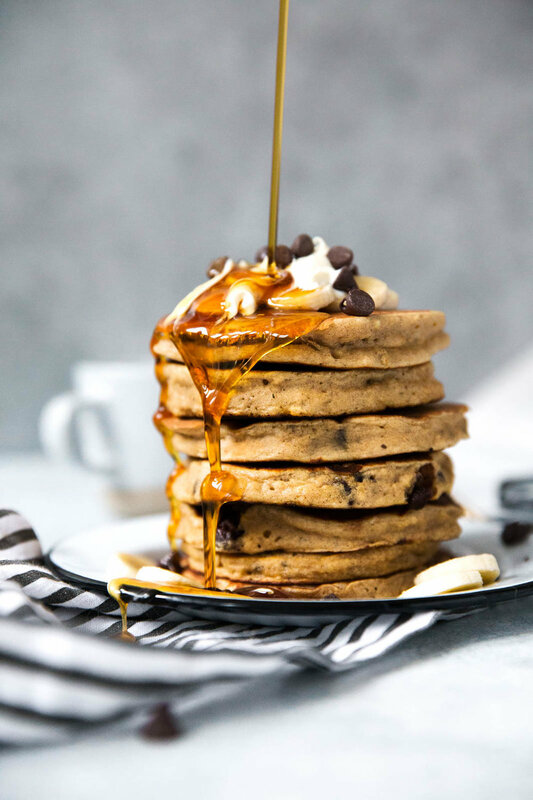 I used Ambitious Kitchen's recipe for whole wheat banana bread pancakes (mini chocolate chips included) and they were superb---so superb I ate 2 servings and still wanted more. I might have to make my own brunch every weekend or make a double batch next time and try to save some for midweek eating. I told myself I wanted to wear more lip color in the new year. It's fun, easy and I have been accumulating many brands and colors with my Play! by Sephora beauty subscription box, plus freebies here and there. Old favorites: Nars lipstick in "Heatwave" and "Schiap." New favorites: Smashbox Always on Matte Liquid Lipstick in "Driver's Seat" and Clinique Almost Lipstick in "Black Honey." It's cheesy, for sure, but sometimes you need to watch a show to a) be on top of popular culture b) always be up for trying a new Netflix original and c) because Drew Barrymore is lovely. Plus, I appreciate the fact that the husband (Timothy Olyphant) is completely devoted to whatever is happening to his wife--cheers to some feminism. It all kind of reminds me of an early 2000s comedy meets "True Blood." The ads I initially saw on Instagram are pretty great, too. From the shirts to the skirts to the pillows to the socks, I want absolutely everything from Gorman. Seriously, can I have one of everything? The shapes, prints and styles are perfect.